If you've got a physical disability and need an apartment with accessible features, did you know that many of the top apartment search websites let you narrow your search in this way? Also, did you know that there are several regional and local search sites that feature listings of accessible apartments? As with any specific feature you need in an apartment, when you're looking for an accessible apartment it's important to make sure you don't waste time checking out ones that don't fit the bill. Accessible features generally mean physical modifications to an apartment that allow for greater and easier mobility, whether on foot or by wheelchair. Common examples include wider doorways and lower electrical outlets (to accommodate apartment dwellers who use wheelchairs), and grab bars by the toilet and shower in the bathroom (to enable easier maneuvering). To limit your search to accessible apartments, you generally must select "Disability Access" as a special feature or amenity on each individual search site. To view these options, you may need to indicate you wish to perform an advanced search. ApartmentGuide.com - Under "Special Features," select "Disability Access." Apartments.com - After searching for your desired location, click to open the menu under "Amenities"; then under "Community Amenities," select "Disability Access." ForRent.com - Under "Community Amenities," select "Disability Access." MyNewPlace.com - Select "Search by Amenities," and then under "Special Features," select "Disability Access." Rentals.com - After searching for your desired location, select "Handicapped Accessible" under "Property Features" and/or "Handicap Access" under "Community Feature" (if available). 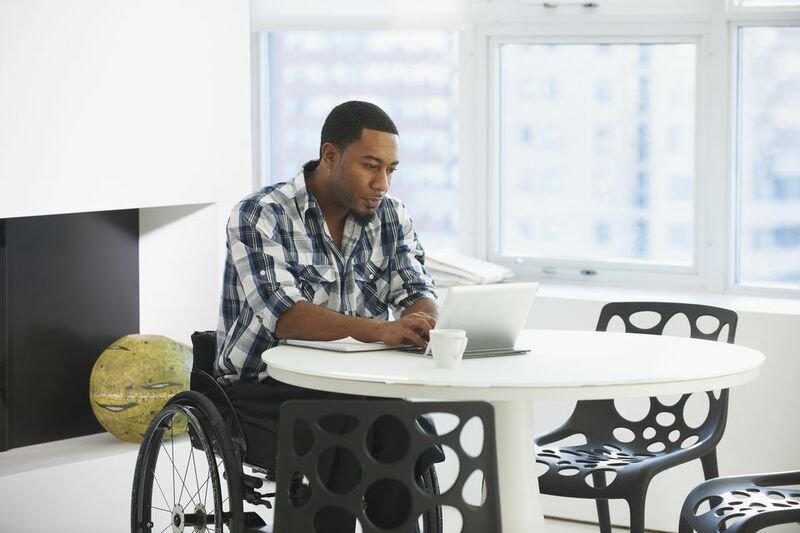 There are several websites dedicated to helping apartment hunters with disabilities find an apartment that has the accessible features they need. To check whether such a site exists for your area, go to your favorite search engine (such as Google or Yahoo), and search for the name of your city, town, or county, plus the words "accessible apartments." Socialserve.com - A nonprofit organization based in Charlotte, North Carolina, Socialserve.com maintains individual search engine sites for over 30 states where apartment hunters can find affordable, accessible apartments. MassAccess - The Accessible Housing Registry - MassAccess aims to make it easier for people to find affordable housing in Massachusetts, with an emphasis on helping people with disabilities find accessible apartments. Just check the "Accessible/Adaptable" box when performing a search.